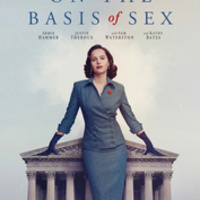 The true story of Ruth Bader Ginsburg, her struggles for equal rights, and the early cases of a historic career that lead to her nomination and confirmation as U.S. Supreme Court Associate Justice. FREE and open to all. Showtimes at 7:00, 9:30, 12:00.